Recruitment for upper echelon positions can be time-consuming, expensive and sometimes even contentious. And when a hiring strategy is ill-defined, qualified candidates can bow out of the process entirely. Here’s several suggestions on how to draft a better process for decision-making when hiring at the top. Here’s a storyline that – unfortunately – plays out far too frequently: After interviewing all three final candidates for a senior level position, the members of the hiring team can’t come to a conclusion on which is best for the job. The hiring managers meet at the appointed hour, share their “gut feelings,” study organizational charts, rethink the responsibilities associated with the role, lobby for their personal favorite, quote credentials from the candidates’ resumes, talk about cultural fit . . . and then, after much debate, retreat back to their offices, deciding to delay the decision by another few days. By then, two of the three candidates have already accepted positions with another company. Team interviews, although a common practice, can be cumbersome at best – horror stories at worst. That’s why, in many organizations, recruitment for top echelon positions is time-consuming, expensive and sometimes even contentious when decision-makers aren’t on the proverbial same page. And when the hiring strategy is ill-defined, expectations are unrealistic, confidentiality is compromised and/or accountabilities/responsibilities are not expressly delineated, qualified candidates will bow out of the process in the face of perceived internal indecision – or simply get worn out by the amount of time it takes to come to a decision and go elsewhere. We can’t claim to have written the book on this topic. But we can offer several suggestions below on how to draft a better process for decision-making when hiring for top positions. Please know that our intent is not to minimize the importance of making the right decisions for critical roles, nor do we advocate sacrificing quality for speed. Chapter (but no verse), here are our ‘how-to’ ideas. First of all, if you engage executive search firms to help with the search, look to them for guidance. This is based on that fact that their success – and future business relationship with you (the employer) – depends on their ability to find the best possible candidate. It’s also based on the expertise that the search firm has developed through their work with hundreds of hiring teams over the years. It’s in the search firm’s best interest to place and identify the best candidates quickly and move on to the next project so they are also vested in helping the team find and come to a conclusion on the very best candidate possible. 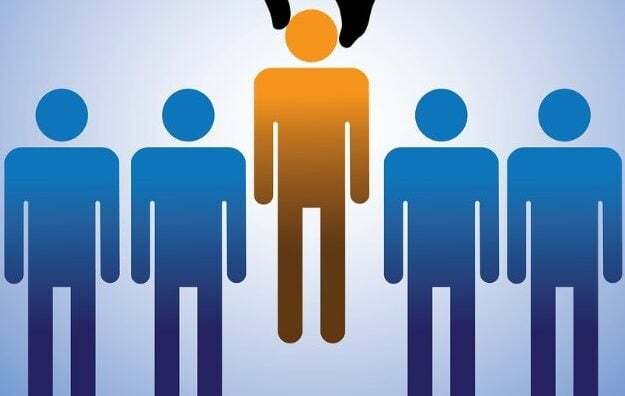 Additionally, as the candidate funnel narrows down to the last five or three individuals, ask the external search professionals for their insights regarding the candidates. Oftentimes, from working with hundreds of candidates within your industry, they can offer unique perspectives on why one stands head and shoulders above another. The search firm can also facilitate discussions about trade-offs, such as when a great candidate has fewer years of experience than desired but possesses sterling credentials. An impartial viewpoint can be of immense help in the decision-making process. Regardless of whether you use an external firm, make sure that everyone on the selection committee has approved the job description, reporting structure, qualifications, desired candidate credentials, total rewards, benefits, relocation package, and so forth. This is the time to debate differing perspectives and openly discuss which candidate requirements are “musts” versus “nice-to-haves.” Doing so upfront, will alleviate the pain of revisiting and re-hashing those topics later. But, as a sidebar, note that a widespread tendency is to write job requisitions or to request applicant information that includes very specific requirements, often using industry jargon and acronyms. This can backfire, dissuading otherwise desirable candidates from expressing interest. That’s why it is recommended describing open positions with less emphasis on requirements and more on experience and accomplishments in what’s called a “success profile,” enabling a high performer at a competitor (or from another industry) to make the connection between their strengths and career goals and the job opening. It’s a great way to encourage a possibly reluctant passive candidate to take that important first step. Again, putting it in writing will possibly avoid a few headaches later on. With the high demand for quality talent rising, candidates are in the driver’s seat in today’s job market. This means that companies, and the recruiters representing them, must move quickly when they find the right hire. Fred Medero, a managing partner at Kincannon & Reed, offers up some strategies. Next, be sure to build in some level of accountability. Get the team to approve the approach to finding candidates prior to starting any individual search. That way, you can be sure that you leave virtually no stone unturned as you seek to identify both passive and active talent through the web, social media, referrals and professional networks. Solicit the team to provide help and access to networks to, for example, identify up and coming competitors who may yield passive candidates. This is also the time to identify which companies’ talent is off-limits for poaching and to discuss the best way to source from diverse talent pools. (Read more here about the ROI of diversity hiring.) Spending this time upfront to set the sourcing strategy will help you avoid last minute surprise bombshells, like having a member of the search team nix a candidate at the last moment because of potential conflict of interest, or nepotism. With an economy that just keeps rolling along, many employers are faced with a difficult workplace challenge: How to attract talent in a candidate-driven market. In any business cycle, whether it’s up or down, the initial connection with a prospective hire is the easy part. Proactively solicit the selection team throughout the hiring process for specific feedback on what they like, or don’t like, in candidates they interview and reject or hire. Some businesses successfully use written scorecards to provide selection teams with an easier way to compare candidates based on credentials and how well they do in interviews. (For more on this, see this Harvard Business Review article.) Others go even further, creating decision-trees for the process, where go/no-go decisions are made at pivotal points in time, not on an ad hoc basis. Hiring managers need to understand the importance of the candidate experience and how they can, unwittingly or not, sink a search quicker than you can say “Titanic.” When a candidate bails during the recruitment process, it’s most often because he/she has experienced something unsettling, such as, for instance, inconsistencies in how the job is described by future bosses and peers. At other times, it’s because the candidate has been brought back for multiple repetitive interviews that give him/her second thoughts about the business’ commitment. Assuming that’s accurate, it’s all the more reason to follow the steps above, iron out as many differences in opinion as possible and get the entire selection team on the same page in advance of embarking on a search. Open – even heated – discussion is fine but the time for debate is before the first candidates for a senior position are ever contacted about an opening. Contributed by J. James O’Malley, Partner at TalentRISE. Jim has spent 25 years on both sides of the table, developing HR and talent solutions to align leadership, talent, and business needs. He joined TalentRISE in 2012 as a partner and can be reached at jimomalley@talentrise.com.